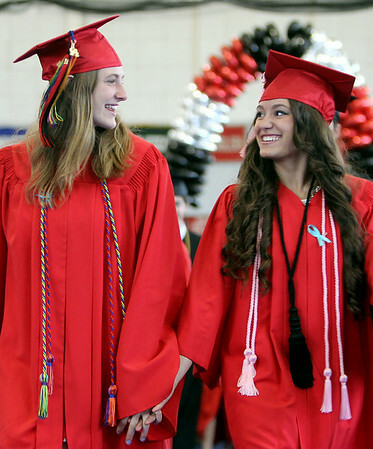 Marblehead High School senior class president Lily Cummings, left, and senior class vice-president Alea Moscone, right, flash each other a big smile as they lead the 2014 graduating class in hand-in-hand. DAVID LE/Staff photo. 6/8/14.